It saddens me that Brides (and Grooms) get ripped off... especially on one of the most important days of their lives. Every now and again I have to post a reference to one of the worst cases of scamming I have ever come across... which I blogged about here. Kayleigh's was one of the first cases of scamming I had ever heard about.... but her's wasn't the last! I could fill my posts up with at least 1 a month and they are only the ones I hear about personally! But... no matter how many warnings are posted on the internet... still the scams pour in! Steve Jackson Photography – A statement from Ollievision regarding Steve Jackson’s unauthorised use of images taken from my portfolio tells the full horrific story. And believe it or not... these are only the tip of the ice-berg! Thanks to Social Media, we are now starting to see Facebook pages emerge warning Brides of what they can expect if they order from the internet from unscrupulous companies. and left out of pocket. Their only crime is to try and save a few quid at a very expensive time! DON'T BUY OFF THE INTERNET! and have to buy the item again somewhere else. I personally, can't believe how many young Brides (and some older ones too) will trust what they are seeing on Facebook and eBay and in fact, the internet in general as being totally genuine. 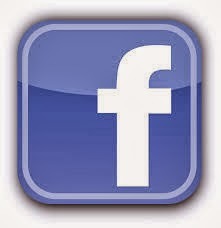 FACEBOOK pages can be closed down and deleted at the click of a button! EBAY - Many eBay sites nowadays state that the seller is from the UK... NOT TRUE! I myself bought a really large sheepskin rug from a company in London. It took 8 weeks to get here, it was unwashed, came from Morocco and was only large enough to cover my Springer Spaniel! (See even I get scammed!). WEBSITES - No matter how professional and dapper the website looks... DO NOT TRUST what you see! Just because the URL states .co.uk or .com means nothing! IS TO BUY LOCAL! And buy from a company that has some history and feedback. Not just a company that has just started up, no matter how well intentioned they are... many companies fail within the first 2 years of trading! And if the company is local, make sure they have a valid business address on their website! And a land line telephone number... not some mobile number that can be switched off in a heartbeat! and entering the websites URL! And you'll be hard pushed to get your money back! Leave a comment and warn others!